Fed up of the same old Birthday Parties at MacDonalds or trashing the house ? Looking for something fun, exciting and safe for your kids to try? Why not treat them to a Snorkle Party? Snorkelling and Diving has been proved safer than many other sports such as ice skating, skiing and horseback riding. So if the clowns and magicians are starting to bore your kids, why not book up your Snorkle Party Today. We are basically offering a fun Discover Snorkel session in a pool for kids of any age. With a 1hr Session one group (six 8-10yr olds) will Scuba Dive for 30mins, while second group (six 8-10yr olds) are Snorkelling for 30mins then change over. With a 2hr Session one group (six 8-10yr olds) will Scuba Dive for 60mins, while second group (six 8-10yr olds) are Snorkelling for 60mins then change over. How Long Will The Party Take? The group will arrive on a Saturday or Sunday 1hr before the pool session, listen to a short briefing and have time to relax and hydrate before the pool session. 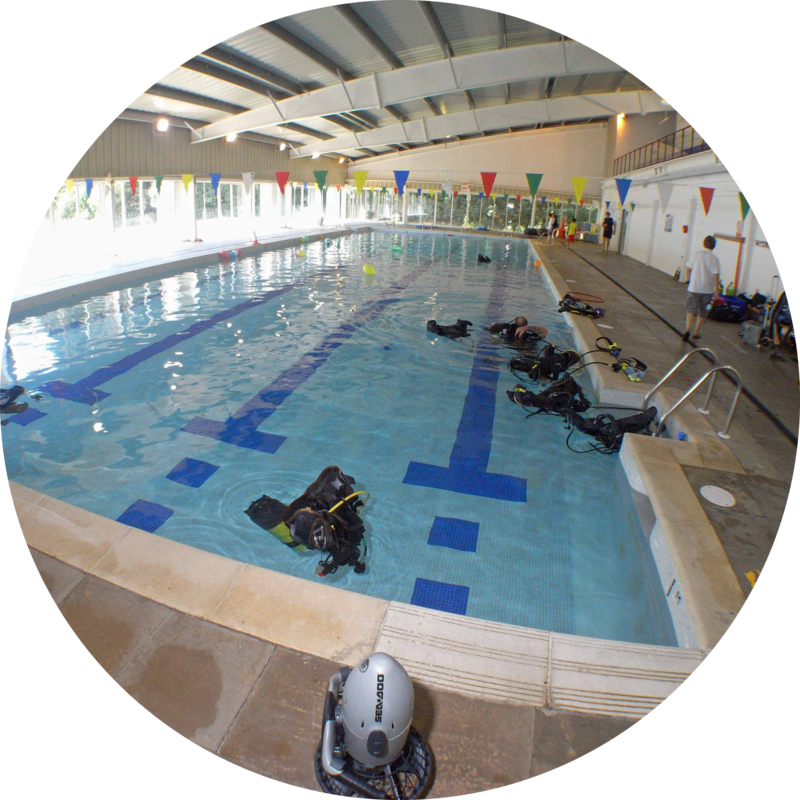 We will use the pool in Biggin Hill or Lewisham in the afternoon for approximately 1 hour with supervision of our highly trained staff. Optional extra hour can be arranged. Option 1 - £30 per child or £270 for a group of 10 participants (equals10% Discount). Option 2 - £40 per child or £360 for a group of 10 (equals 10% Discount). DPVs - This is a underwater scooter by the way ! Great fun. Have completed and returned the booking, Discover Snorkeling/Skin Diving Statement and medical forms. There must be at least 2 adults attending with the group. Can either sit on the pool side or come in the pool. We need a total number of spectators prior to the event. Deposit of £60 to hold date and balance paid 2 weeks before session. Minimum of 6 children at this venue, smaller groups another venuw is chosen in the area. Also why not Book our SCUBA POOL PARTY from the age of 8yrs old. The Snorkel Pool Party is held at either The Biggin Hill Leisure Centre in Kent. And The Glass Mill Leisure Centre in Lewisham. Participants spend 20 minutes listening to our Briefing including safety pool rules for diving. Afterwards they get changed and hop into the pool with our supervision. And then begin being introduced to the equipment. There are pool toys and Diver Propulsion Vehicles (DPV) to also play with. - Please email for up to date schedule dates will be with demand.